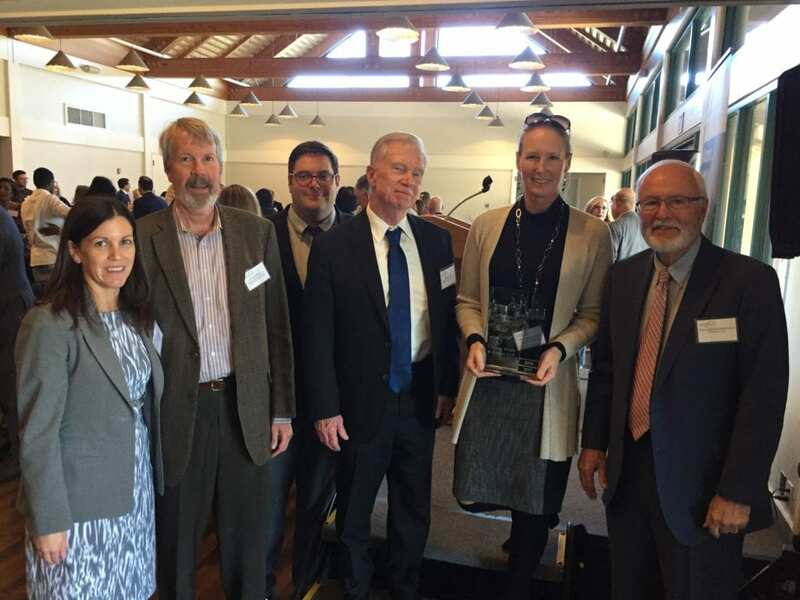 Cooper, White & Cooper LLP (CWC) attorneys were pleased to accept the Contra Costa County Bar Association (CCCBA) Gold Diversity Award on January 25, 2019, for the firm’s 2018 diversity efforts. This is CWC’s second Gold Award having received its first award last year at the CCCBA’s first annual Diversity Awards. CCCBA created its Diversity Committee in 2002 to promote and support diversity within the legal community and throughout Contra Costa County. CWC has been an active supporter of diversity and the Diversity Committee since its founding. Law firms of all sizes that promote diversity and support the legal needs of our community were eligible to earn this award. See http://cclawyer.cccba.org/2019/03/photos-installation-lunch-and-diversity-awards/ for more information and photos of CWC lawyers at the event. CWC attorneys pose with Judge James Trembath (ret.) after receiving the CCCBA Gold Diversity Award for the second year in a row.